For a time, from 1911 to 1933, the Washington Senators were one of the more successful franchises in major-league baseball. The team's rosters included Hall of Famers Goose Goslin, Sam Rice, Joe Cronin, Bucky Harris, Heinie Manush and one of the greatest pitchers of all time, Walter Johnson. 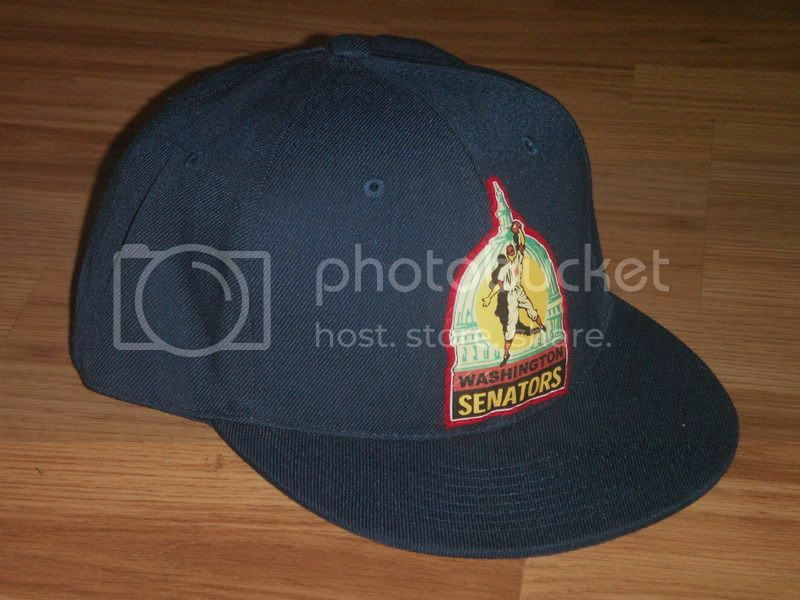 But the Senators are remembered more for their many years of mediocrity including six last-place finishes in the 1940s and 1950s. Logo was used from 1952-1956. Video 1959 Baltimore Vs. Washington. I've always been a Terps fan. I'm talking Buck Williams, Albert King, Len Bias, Neil O'Donnell, Frank Reich, and Boomer Esiason just to name a few. 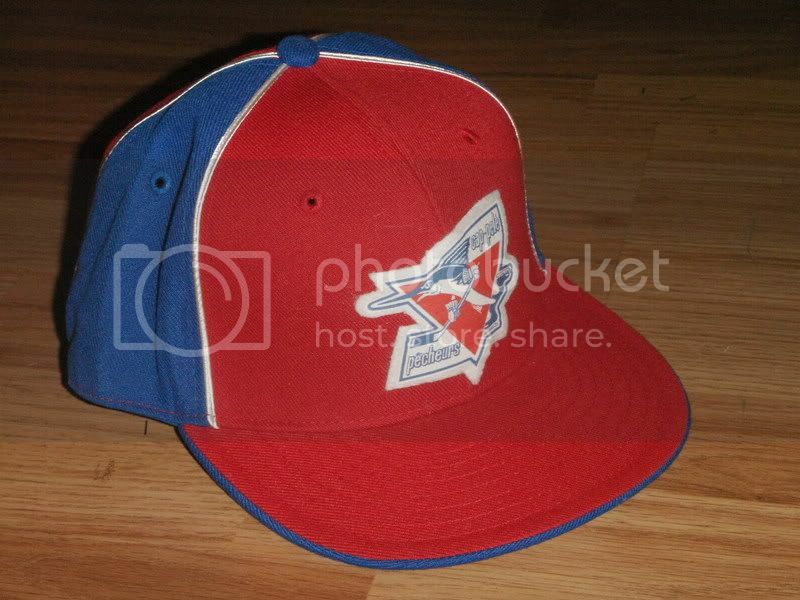 The cap has the lower case letters they used in the 60's and 70's. Here's a video on my man Len Bias. Still a hero to me. Check out the gold uniforms. CLASSIC. Plus, some other Terps video. Enjoy. 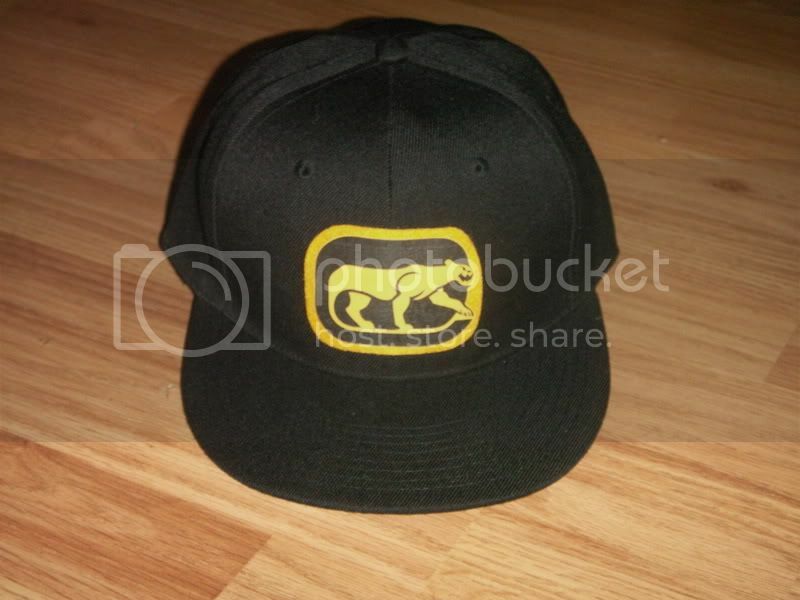 The Chicago Cougars were an original franchise in the World Hockey Association from 1972 to 1975. The Cougars played their home games in the dilapidated International Amphitheatre. 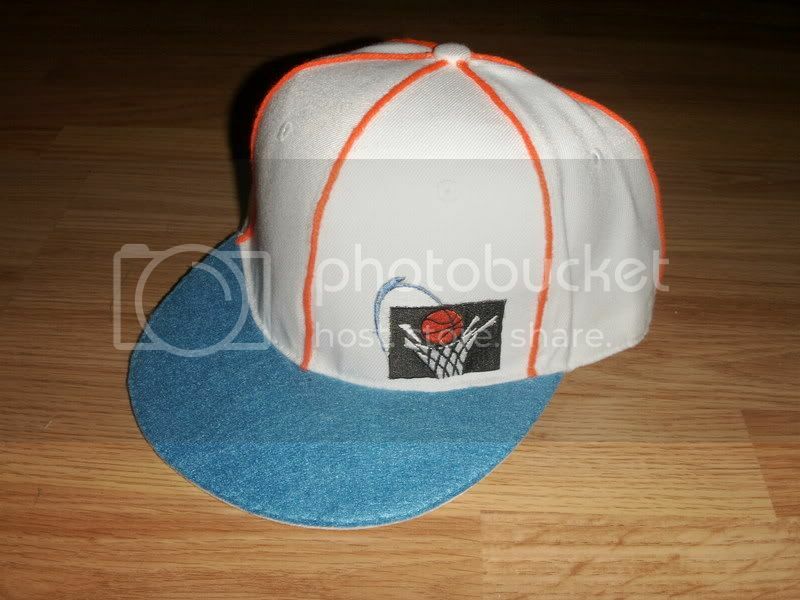 They were placed in the Western Division for their first season (1972-73) and transferred to the Eastern Division for their final two seasons (1973-74 and 1974-75). They're O.G. colors were gold and green watch out for that one. 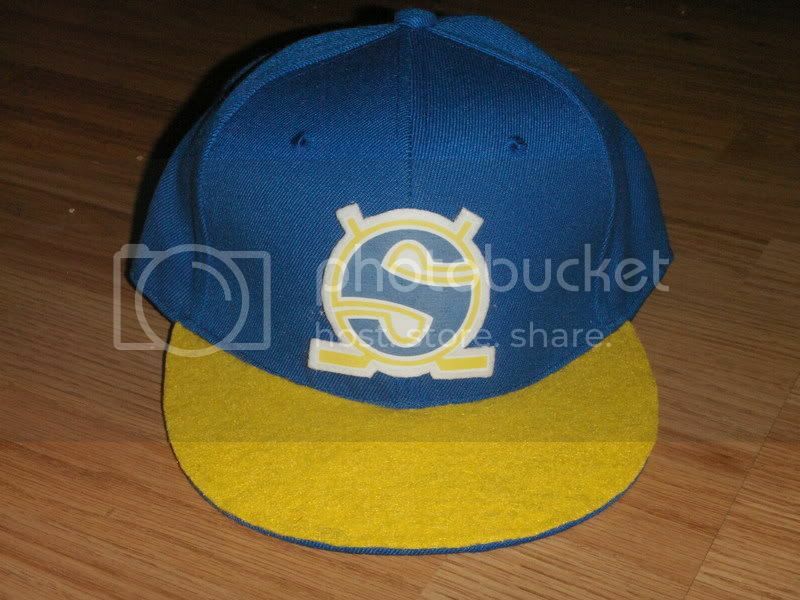 Seattle would be known as the Siwashes until they dropped out of the Coast League after the earthquake season of 1906. They were, at one point, called the Indians. When the team returned to the league in 1919, management tried to call the team the Purple Sox, but had to change the name back to Indians when fans rebelled. During the 20s the team was occasionally called the Rainiers, even though the name was not changed officially to that when Emil Sick bought the club in the 30s. 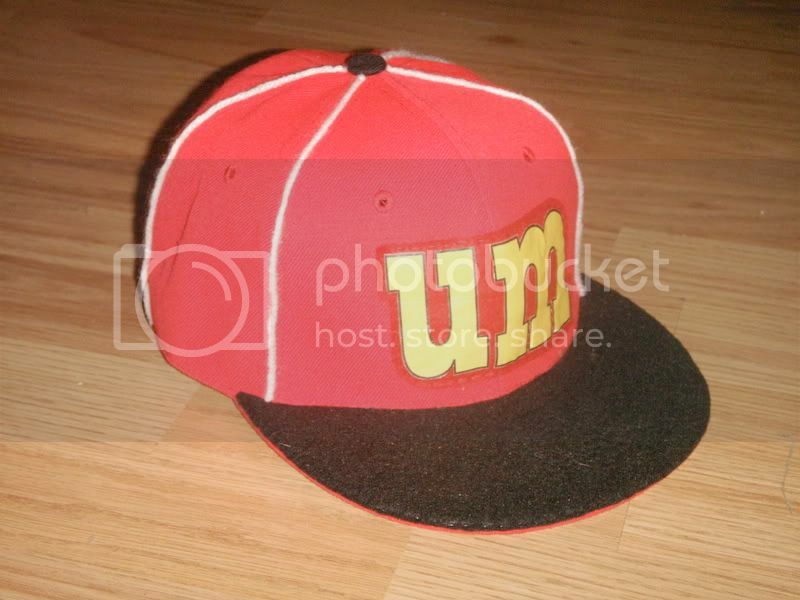 Logo is made of hand cut and sewn felt. 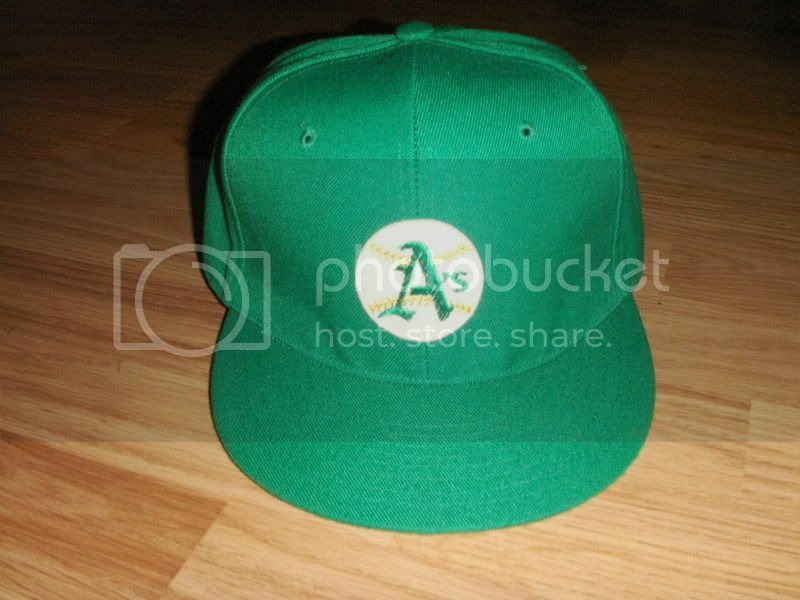 For you who didn't know the A's played in KC before they trucked over to Oakland. This custom has a vintage 60's patch on the front and 50's vintage patch on the back of the white elephant in the team's old colorway. 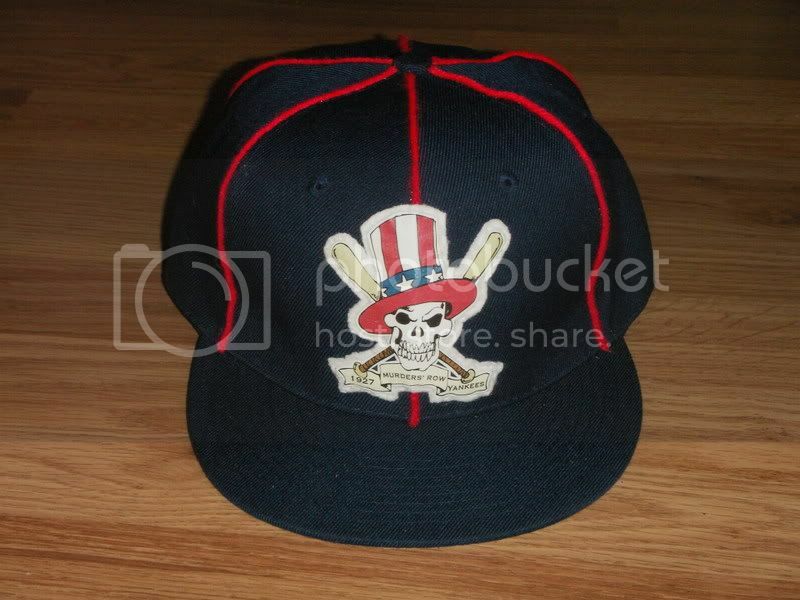 Good looking cap. In 1955 Philadelphia Athletics decided to make Kansas City their new home. When the A's finally made their home debut 32,844 excited fans turned out to watch them beat the Detroit Tigers 8-2. There was not much winning that first year, as the Athletics finished in 6th place with a 63-91 record. The first team was one of the WHA's original twelve franchises. They played four seasons, beginning in the inaugural 1972-73 season. The Fighting Saints' first game was played Friday, Oct. 13, 1972, at the St. Paul Auditorium, best remembered for its unique clear plexiglas boards. The Saints lost 4-3 to the Winnipeg Jets. Partway through their first season, the new St. Paul Civic Center opened in January 1973. Their first game in the new arena was Jan. 1, 1973, a 4-4 overtime tie with the Houston Aeros. The team colors were royal blue, white and new gold. 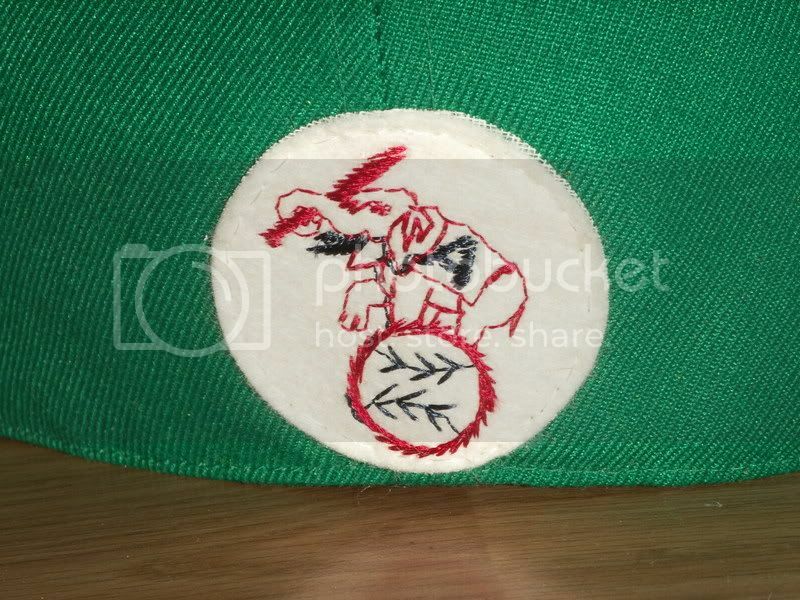 The name was taken from the St. Paul Saints of the Central Hockey League, who had used the nickname "The Fighting Saints" in promotional material. Cap-Pele' Pecheurs are a Senior League team based in the small Canadian village of Cap-Pele. This is the logo from the 1979 season. 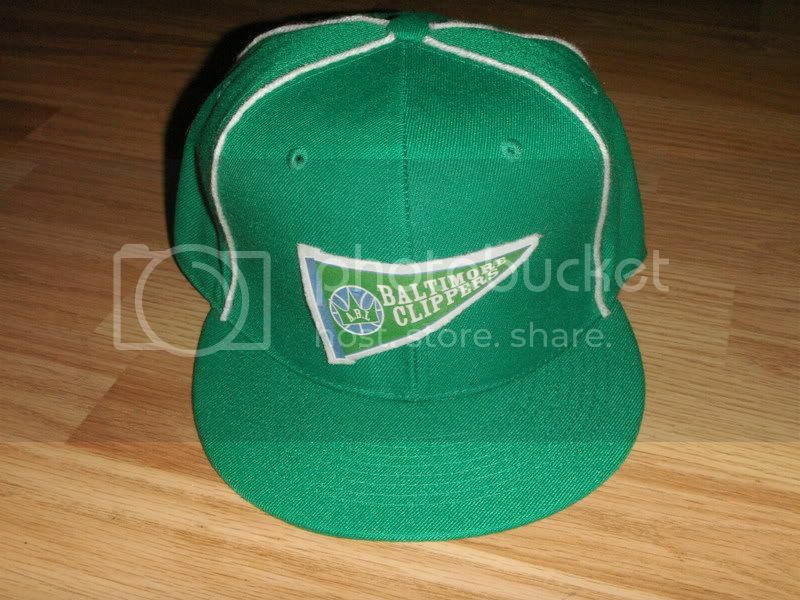 The Baltimore Clippers were a basketball team based in Baltimore, Maryland that was a member of the American Basketball League. They played in two seasons 1939/40- 1940/41. 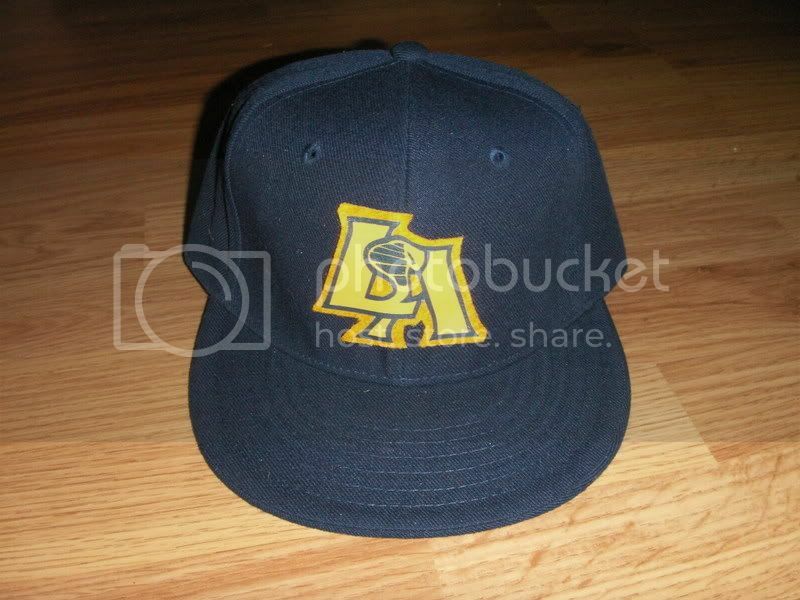 The Halifax Diamonds were a baseball team that played hockey during the off-season in the Coloured Hockey League. Here is the 1921 roster. 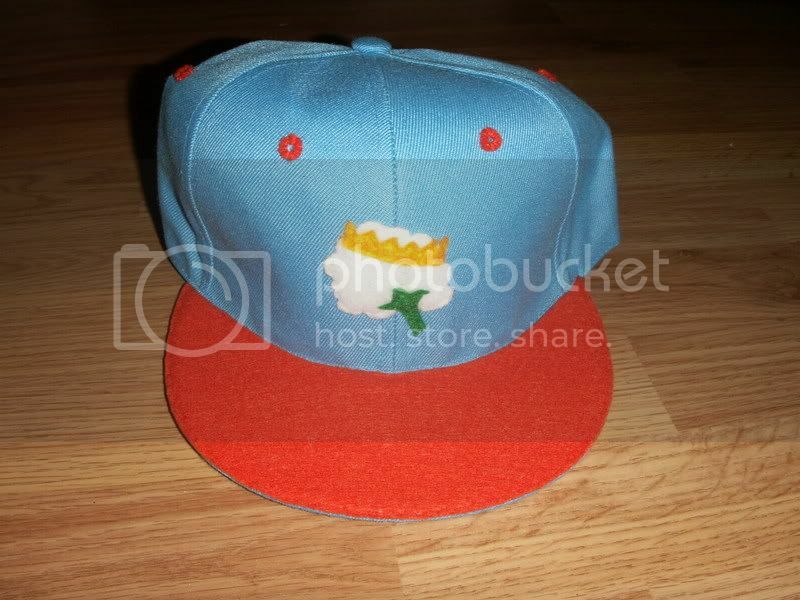 I've included two pictures of the cap. 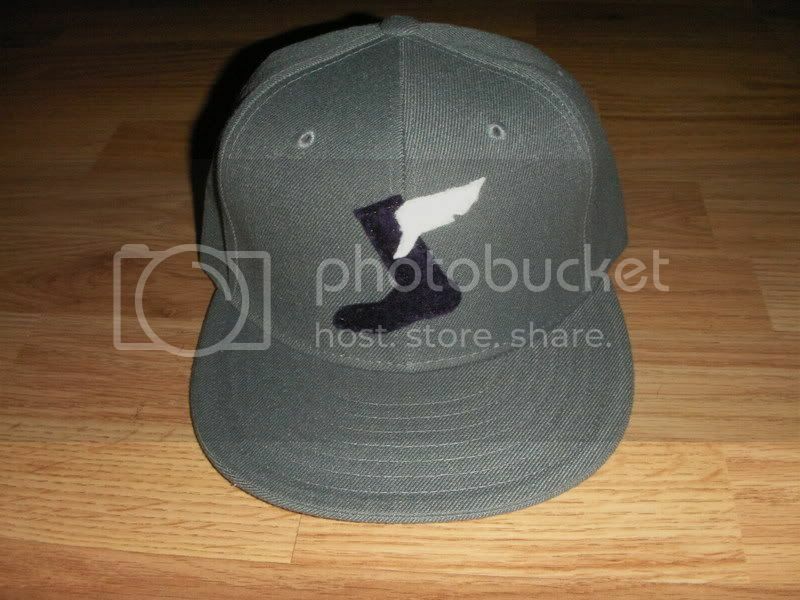 The diamond on the cap is made with 3m reflective fabric so it doesn't photograph well. The second picture was taken with the flash off so you can see some detail. The Coloured Hockey League was an all-black ice hockey league founded in Nova Scotia in 1894 and featured teams from across Canada's Maritime Provinces. The league operated for several decades lasting until 1930. With as many as a dozen teams, over 400 African-Canadian players from across Nova Scotia, New Brunswick and Prince Edward Island participated in competition. The Coloured Hockey League is credited by some as being the first league to allow the goaltender to leave their feet to cover a puck in 1900. This practice was not permitted elsewhere until the formation of the National Hockey League in 1917. Hockey historian George Fosty also claims that the first player to use the slapshot was Eddie Martin of the Halifax Eurekas 100 years ago. 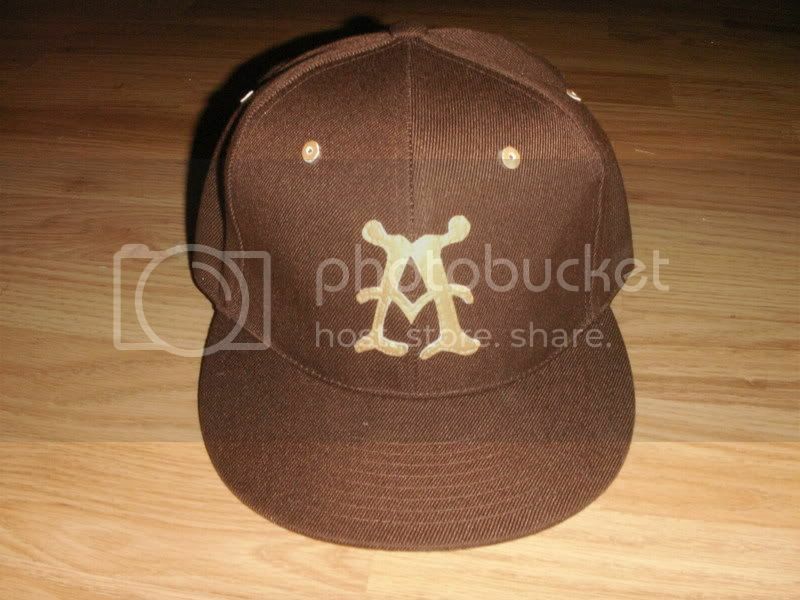 This cap represents the Africville Seasides. I've included a video based on the league and the team's 1901 championship roster. The Los Angeles Cobras played in the 1988 Arena Football League season only. They played their home games at the Los Angeles Sports Arena, which they shared with the Los Angeles Clippers of the National Basketball Association. 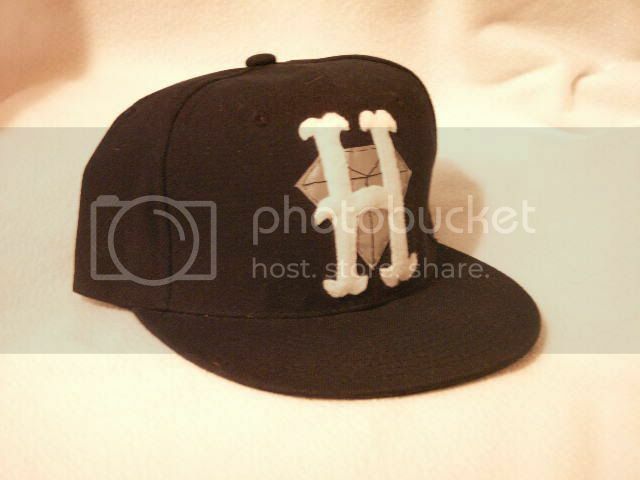 The team's logo was unusual in that it consisted of an interlocking "LA" in which the left upright of the "A" was formed by the hooded head and "neck" of a cobra. The Cobras, who featured former NFL all-pro receiver Cliff Branch, managed only a 5-6-1 record and drew dismal crowds. They did manage to grab the fourth and final playoff spot in the six team AFL, but lost in the semifinals to the Chicago Bruisers. It turned out to be their last game ever as the Cobras (as well as the New York Knights and the New England Steamrollers) folded after the 1988 season, cutting the league down to just three teams. The Cobras are also featured in the film Kinjite: Forbidden Subjects starring Charles Bronson. One scene takes place during a Cobras/Bruisers game, presumably the final regular season contest played July 14, 1988 (this game also had the distinction of ending 37-37, making it the first tie game in arena football history). The film was released in early 1989. The Cotton Kings played semi-pro ball in Casa Grande,Arizonia. 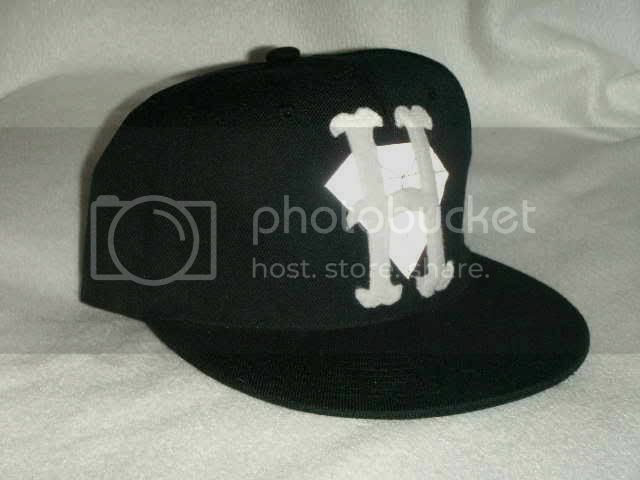 In the 1954 National Baseball Congress World Series the Cotton Kings lost to the Wichita (KS) Boeing Bombers. However, their star pitcher, Donnie Lee walked away with MVP honors. With the retirements and departures of Nance, Daugherty and Price, the team lost much of its dominance and were no longer able to contest strongly during the playoffs. After the 1992-93 season, in which the Cavs boasted a 54–28 regular-season record but suffered an early exit from the playoffs, Wilkens left to coach the Atlanta Hawks. Following the hiring of Mike Fratello as head coach starting with the 1993-94 season, the Cavs became one of the NBA's best defensive teams under the leadership of point guard Terrell Brandon. But the offense, which was a half-court, "slow-down" tempo installed by Fratello, met with mixed success. Although the Cavaliers made regular playoff appearances, they were unable to advance beyond the first round. In 1994, the Cavs moved back to downtown Cleveland with the opening of the 20,562-seat, state-of-the-art, Gund Arena. Known by locals as "the Gund", the venue also served as the site of the 1997 NBA All-Star Game. Later on, players like Shawn Kemp and Žydrūnas Ilgauskas added quality to the team, but without further success. Fratello was fired following the shortened 1998-99 season. 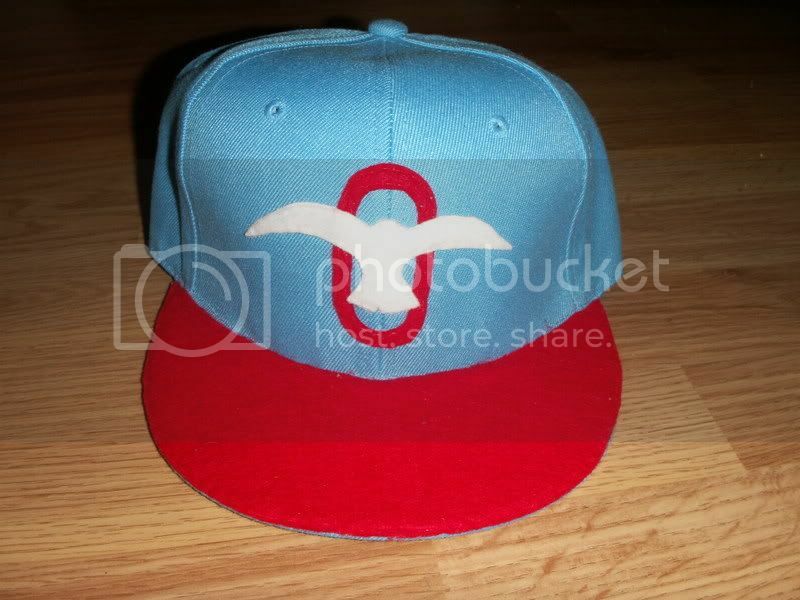 The Orlando Gulls played in the Florida State League for one season in 1937. They sucked going 40-100 finishing 8th but their caps were pretty fly. Murderers’ Row, was the nickname given to the New York Yankees baseball team of the late 1920s, in particular the first six hitters in the 1927 team lineup.